Have you ever thought about the fact that female artists almost never reach the level of fame of their male counterparts? If you are asked to name a few famous artists, you may be likely to only be able to recall only men: such as Raphael, Gogh, Dali and so on. Nevertheless, what about the beautiful half of society? Did ladies fail in the field of fine art, or were their names deliberately, or by chance, lost in the pages of centuries-old world history? In fact, the ratio of the women in art to men was always smaller, and thus only a few of them achieved true popularity. In this article, we will talk about the one and only Frida Kahlo, a female artist who conquered the world with her talent and attitude. The creativity of this woman is amazing. Today Frida Kahlo’s paintings are estimated at millions of dollars, sold at auctions, stored in private collections and exhibited in national museums and galleries around the world. Few people know that a terrible tragedy led to development of her incredible talent. The future artist Frida Kahlo endured hellish physical pain and suffered heartache. These conditions transformed themselves into an intense experience and an unhealthy painting. The life story of Frida Kahlo can be described in term of two big tragedies, 32 operations, and 145 paintings. Nowadays, people buy paintings of the legendary artist for record sums of money, others – criticize them for excessive cruelty. A famous Mexican woman artist” “I paint self-portraits because I am so often alone, because I am the person I know best”. In the magical paintings of Frida Kahlo, the wisdom of a woman who has known great grief and great love, and who possesses extraordinary strength and a thirst for life, is reflected. Deep psychological pictures of Frida Kahlo is something completely new in the history of art, which was not apparent before or after her productive period. When she was eighteen, Frida got into a terrible car accident, as a result of which she remained confined to bed for a long time. A triple fracture of the spine, a triple fracture of the pelvis, eleven fractures of the bones, thirty-two operations, years in plaster, acute pain for life… All the pain, hope, all her mental fractures the woman embodies on the canvas. Most of Frida’s art is self-portraits, in which she never smiles – and this is not an accident. A girl confined to bed persuaded her father, the photographer Guillermo Kahlo, to tie a special easel to the bed giving her an opportunity to draw whilst lying down, and to nail a mirror to the opposite wall. For many months, Frida’s art world shrank to one room, and the main subject of study was herself. Her marriage with artist Diego Rivera and Frida was jokingly called the alliance of an elephant and a dove (the famous artist was much taller and thicker than his wife). Diego was teased, being described as a “prince-toad”, but no woman could resist his charm. She knew about the numerous love affairs of her husband, but was only unable to forgive one of them. She demanded a divorce when after ten years of the so-called married life, Diego betrayed his wife with her younger sister Christina. Just a year later, Diego asked Frida to marry again, and the still-living woman in art proclaimed a condition: marriage without intimacy, life in different parts of the house, material independence from each other. Their relationship was never exemplary, the only thing that might have helped the situation, they were not given. Frida was pregnant three times, and three times suffered miscarriages. Such a situation is not new for women, and their relationship to art. Many famous artists had to sacrifice their family-related ambitions to fully dedicate themselves to art. “Sometimes I ask myself “was not my art more literary works than paintings? It was something like a diary, a correspondence that I’ve been leading for all my life… My work is the most complete biography I could write”. 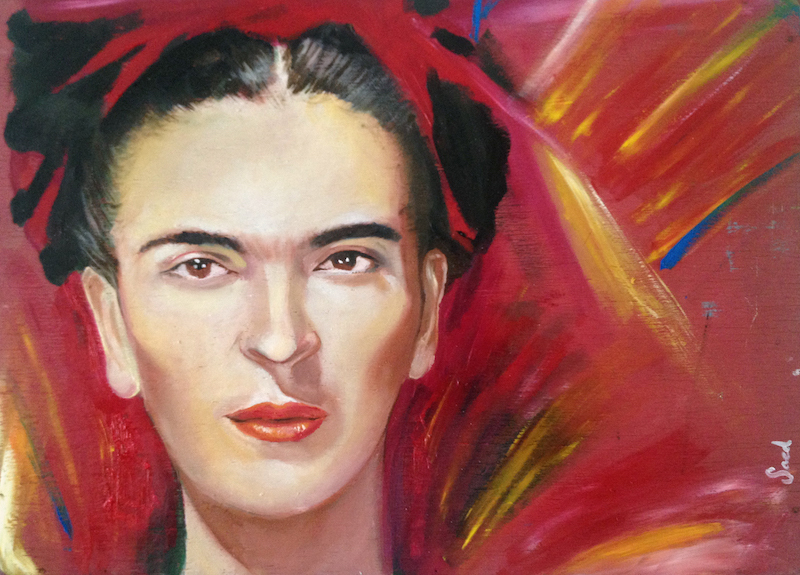 The artwork of Frida achieved its popularity during her life. In 1938, in New York, the first art gallery exhibition of her work was held. But, her primary body of work was not exhibited until 1953. By that time, the famous Mexican could not move independently, so on an opening day she was brought on a stretcher and laid in a prepared bed in the center of the hall. Shortly before the, exhibition, due to gangrene, a part of her right foot was amputated: “What are my legs when I have wings behind me!”, she wrote in her diary. Judy Nelson is a fine art professor at the School of the Art Institute of Chicago. When Judy is not engaged in teaching, she also likes to write art-related articles. She uses this tool – https://eduzaurus.com/plagiarism-checker – to ensure her pieces are plagiarism free. NextNext post: Have I already bought my last ever combustion engined car?